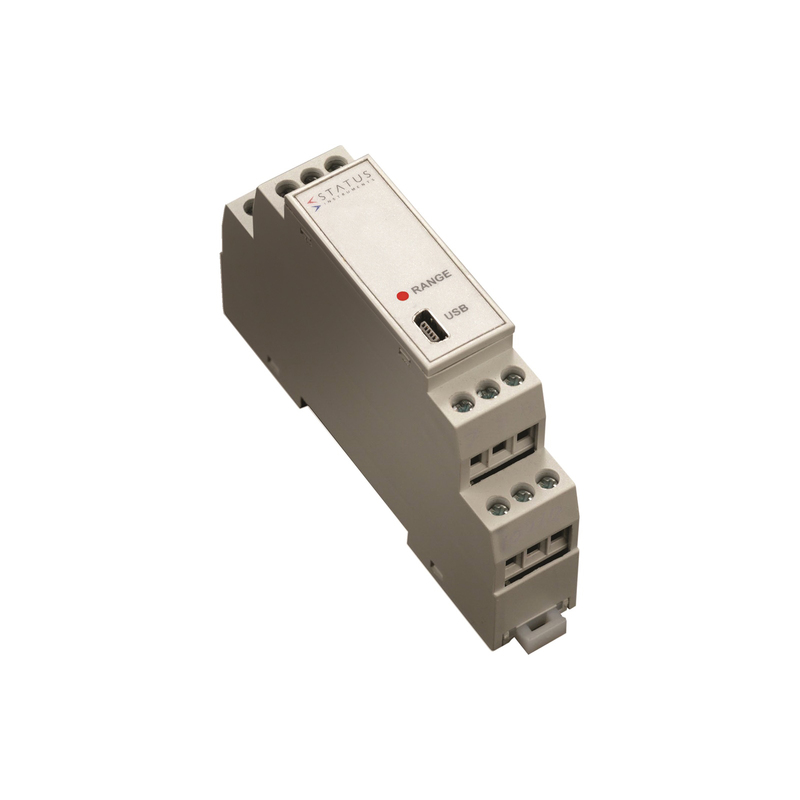 The Status SEM1600B is a Load Cell signal conditioner which accepts up to 4 in parallel. It can be powered either with a 10 – 32 VAC supply or 10 – 48 DC supply. Offering either active or passive mA outputs as well as voltage or Bi-Polar voltage outputs it is the perfect solution for a DIN Rail mountable load cell transmitter. Connecting your SEM 1600B to the Status software via the USB configuration allows for calibration; together with a simple to use menu driven software configuration tool, allowing the user to take advantage of the product’s comprehensive specification.